Once a silent witness to the glittering majesty of Scottish kings, Linlithgow Palace still draws you in like a magnet. But after everyone has gone home, whose ghost walks these dark corridors at night? Built around 1425 by James I and embellished by his successors over the centuries, Linlithgow Palace was one of the jewels in Scotland’s crown. This was a luxurious royal playground, set amid beautiful scenery with plenty of opportunities for hunting and falconry. It was from one of Linlithgow’s tall turrets, known as Queen Margaret’s Bower, that Margaret Tudor, wife of James IV, watched patiently for her husband’s return from the Battle of Flodden in 1512. Sadly he never returned, because he had died on the battlefield. When Margaret’s son, James V, married Mary of Guise, it is said that the elaborate fountain in the courtyard was made to flow with wine. The only child of James and Mary to survive infancy was a girl, who was born at Linlithgow Palace and baptized in the nearby Church of St Michael. She was just six days old when her father died, and she became Mary, Queen of Scots. Today, Linlithgow is a roofless ruin, thanks to a departing garrison of soldiers in 1746 who ‘forgot’ to put their fires out… but as you wander around the echoing rooms and climb the dark spiral stairs it’s easy to imagine the splendor, the gowns, the banquets and the revelries. A detailed look at one of the windows. Not surprisingly, Queen Margaret’s Bower is said to be haunted by the ghost of Queen Margaret, who is seen standing and watching in vain for her husband to return. But there is another apparition, a lady in a blue gown, who has been glimpsed by several people as she makes her way from the main entrance of the Palace across to the adjacent church. Is this Mary of Guise, the French wife of James V… or perhaps Margaret Tudor, going to pray for her husband? Linlithgow Palace in Lithlangow, Scotland is known to be haunted. The royal door on the north side of the church has now been closed off, but perhaps the ghostly woman has another means of entry, because she disappears within a few feet of the wall. For some unknown reason, most of the ghost sightings have occurred in April and September, around nine o’clock in the morning. Witnesses have also heard the rustle of silk skirts. Linlithgow Loch, it’s as cold here as the ghost haunting the palace. Linlithgow Palace is cared for by Historic Scotland and it is open all year round (admission charges apply). After you have explored the Palace you can walk around the beautiful Linlithgow Loch. Visit the Historic Scotland website to find out more and plan your visit. A number of companies offer guided tours of Linlithgow. 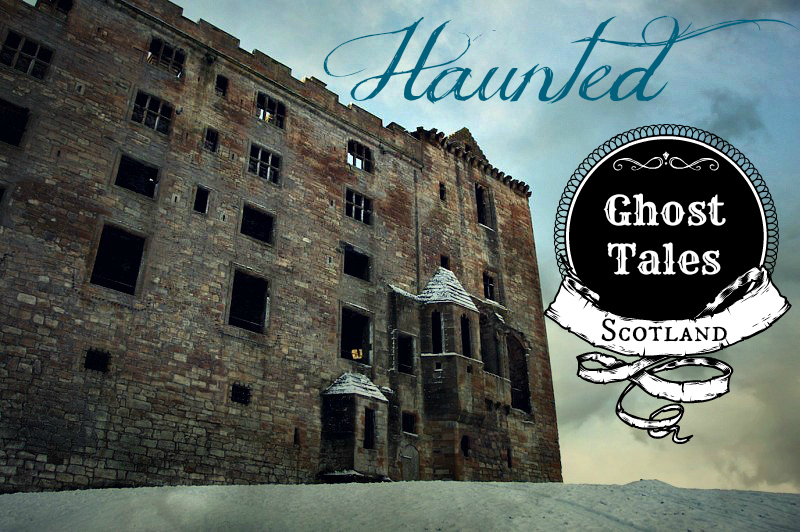 Around Halloween, Historic Scotland usually offers some ‘fright nights’ to make sure you are thoroughly spooked! Getting there: Linlithgow is a small town in Central Scotland, about 18 miles from Stirling and 20 miles from Edinburgh. It is situated on the main railway line between Glasgow and Edinburgh (20 mins from Edinburgh, 30 mins from Glasgow), and there is also a regular bus service. Jo Woolf is a British writer with a keen interest in history and the natural world. She lives in Central Scotland, and is never happier than when she’s wandering around the ruins of an ancient castle or pottering along a pebbly shore. Jo writes an online magazine called The Hazel Tree. Jo Woolf is a British writer with a keen interest in history and the natural world. She lives in Central Scotland and is never happier than when she’s wandering around the ruins of an ancient castle or pottering along a pebbly shore. Jo writes an online magazine called The Hazel Tree.